Before Babe combines my love of the game of golf and everything it gives a person – athletic activity, outdoor recreation, the opportunity to meet people of all ages on the first tee and make new friendships for a lifetime – with my love of using historical film and still photographs to make films about lesser known subjects that deserve a spotlight. 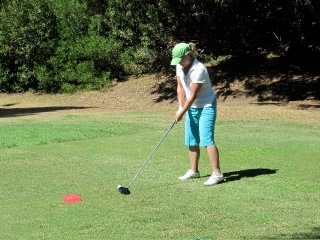 I am left-handed and I play golf left-handed. There aren’t many of us. Barack Obama is one, but most left-handed people play golf right-handed, like Bill Clinton. Curious to know if anyone in the early years of the 20th century played golf left-handed, I searched through 1920s issues of The American Golfer Magazine and Golf Illustrated, and found more articles on left-handed golfers than I’d expected to find. 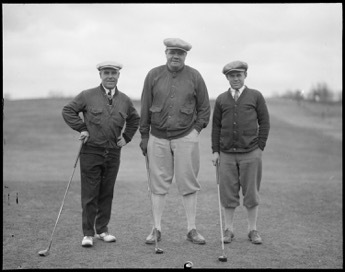 In the 1920s there were enough lefty golfers to organize Southpaw tournaments. While flipping the pages of those old magazines, I also found, much to my surprise and delight, comprehensive coverage of women golfers and their tournaments. 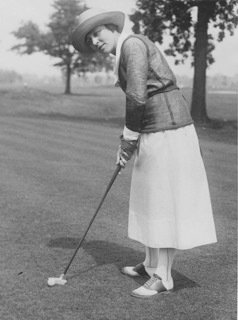 Every month, there were two to three articles on women golfers with stunning photographs of them swinging golf clubs in clothes that were likely designed for a soiree rather than sporting activity. I began to see a captivating sports story both historic and fashionable. This short documentary is the beginning of the film I am developing now, a feature-length film to cohesively document the story of women's golf in the United States, Great Britain and Ireland, and France beginning in the 1890s through the first Curtis Cup international tournament in the United States in 1934. It is a story that weaves its way through the Golden Era of men’s amateur golf and the beginnings of the PGA Tour. It is a story, like any great sports story, filled with competition, heart, skill, camaraderie, grace, beauty, style and humor.